Katherine Tegen Books, 9780062453112, 336pp. 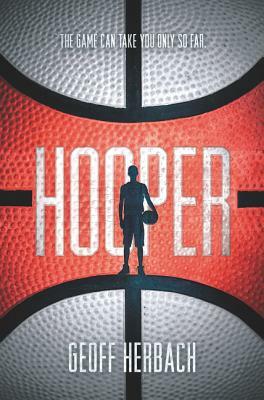 Geoff Herbach is the author of Hooper and the award-winning Stupid Fast series, as well as Fat Boy vs. the Cheerleaders. His books have been given the Cybils Award for Best Young Adult Fiction and the Minnesota Book Award, selected for the Junior Library Guild, and listed among the year’s best by the American Library Association, the American Booksellers Association, and many state library associations. In the past, he produced radio comedy shows and toured rock clubs telling weird stories. Geoff teaches creative writing at Minnesota State University, Mankato. He lives in a log cabin with a tall wife. You can find him online at www.geoffherbach.com.